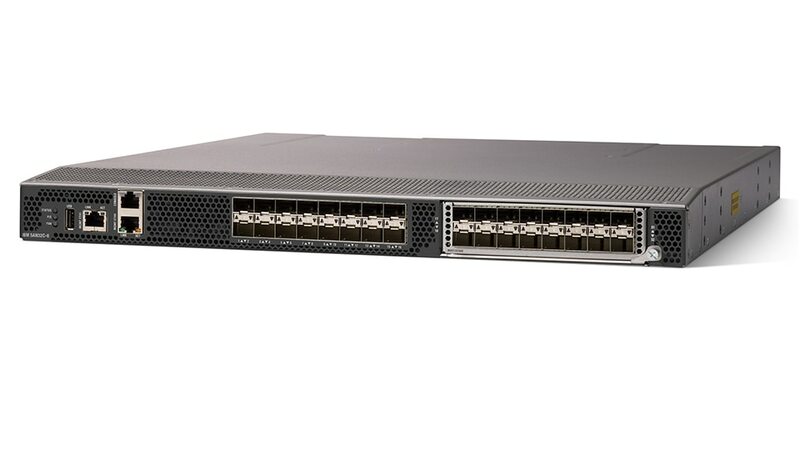 IBM Storage Networking SAN32C-6 provides high-speed Fibre Channel connectivity from the server rack to the SAN core. This switch empowers organizations that are rapidly deploying cloud-scale applications using highly dense virtualized servers, by providing higher bandwidth and consolidation. Designed to benefit both small-scale and large-scale SAN deployments, it delivers outstanding flexibility through a unique port expansion module that provides a cost-effective, field swappable port upgrade option. You gain the day-one option of upgrading to 32-Gbps server connectivity using 32-Gbps HBAs.